Welcome to the home of School-Banners.co.uk, where with our 40 years of print experience together with the latest inkjet technology we will be able to supply you with durable, professional looking, custom made, yet affordable banners. 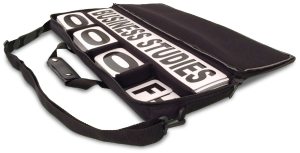 Ideal for promoting your school events, year after year. Now available, this magnetic exam timing board. 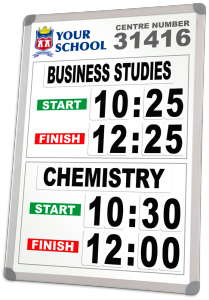 A personalised printed dry-wipe white board with areas for 2 exams including magnetic panels for exam titles specific to your requirements and a set of numbers sufficient for any combination of start and finish times. These sets can also be supplied with an optional easel. 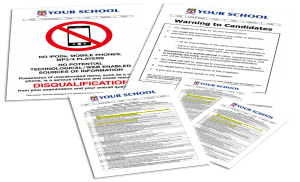 Also, a wide range of bespoke laminated exam room posters can be made to any size.